The Lebanese Club at Cornell (LCC) is having a Red Velvet Cupcake bake sale on Ho Plaza every Monday starting November 5th through November 21st. 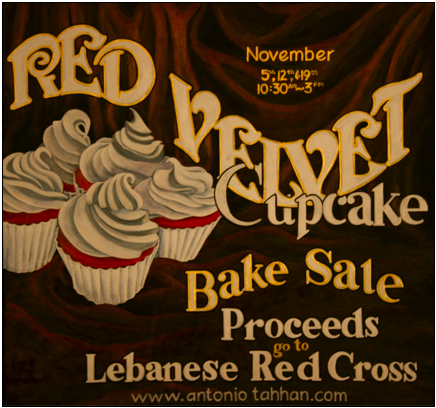 All proceeds from the sale will go directly to the Lebanese Red Cross in efforts to help restore Lebanon from the destruction caused by the July War in 2006 and Nahr el Bared in 2007. Come show your support and enjoy our delicious cupcakes as well!